There is a two-step audition process: a recorded or in-person music audition is due by 11:59pm on July 14. All info for our music audition can be found here on our Audition Instructions page! An in-person marching audition is held during FTP , and no prior marching experience is needed. 2019 FTP will be held August 16 – August 20. The minimum time commitment with the Band is about six hours of rehearsal per week, with 1.5-hour rehearsals Monday through Thursday. On game weeks there is an extra rehearsal on Friday and on Saturday morning. All home football games are mandatory. Missing rehearsals and games is reviewed on a case-by-case basis. Other performances, such as with the Straw Hat Band and everything in the spring semester, are entirely optional. How should I schedule my classes? Rehearsals during the year take place in the late afternoon, from 4:30pm until 6:00pm. If at all possible, please avoid scheduling classes that would conflict with rehearsal. However, if missing rehearsal is unavoidable, it is reviewed on a case-by-case basis. Will I get units or compensation? Bandsmen do not receive any academic units or monetary compensation since the Band itself is a voluntary student group. We do get into athletic events (such as football, basketball, volleyball, and swimming) for free, and receive other additional perks at times (i.e., dinner, per diem, etc.). However, being in the Band is an extremely rewarding experience worth more than any form of payment. Scholarships and awards are available to select members. There is no cost to be part of the Cal Band. There is no uniform rental fee. However, Band members are expected to provide for their own Straw Hat Band uniform parts not provided by the Band (e.g. white dress shirt, black socks, black shoes). Do I need marching experience? 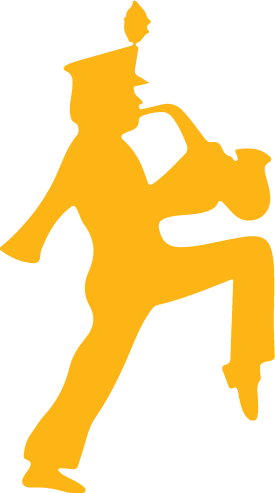 The Cal Band is proud to be one of the few bands in the nation that still practices the rigorous and unique high step marching style. 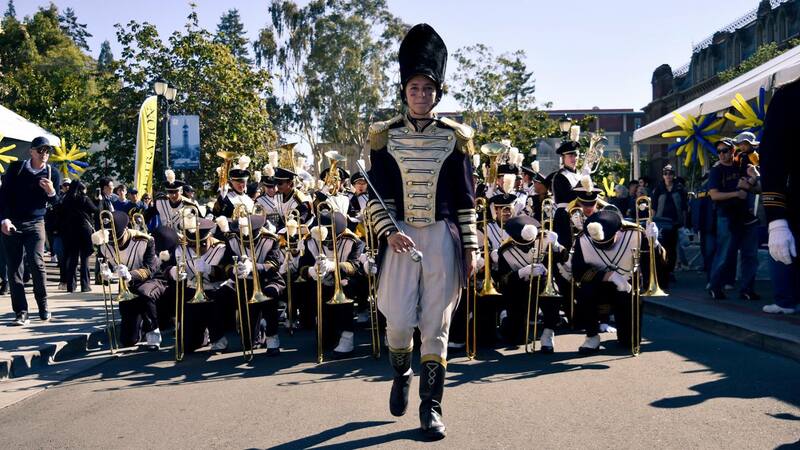 Since our style is very distinctive, students who have never marched before may be at an advantage because they do not need to “un-learn” any habits formed with corps-style marching. All the fundamentals are taught during the Fall Training Program. The Band currently has the following instrumentation: piccolos, clarinets, alto saxophones, tenor saxophones, trumpets, mellophones, trombones, baritones, sousaphones, snare drums, bass drums, tenor drums, cymbals, and glockenspiels. The Band does not march any auxiliary units (color guard or frontline ensemble) because it is a show style band. If you play an instrument that is related to one mentioned above (flute players, for example, may want to consider playing piccolo), you should still consider joining the Band. Any other students with musical experience are strongly encouraged to learn an instrument before joining us. Does the band offer scholarships? There are scholarship opportunities in the Band, ranging from $300 stipends for First-Year Bandsmen Awards to a renewable $3500 George Miller Scholarship with the Band, depending on excellence through performance and commitment to the organization. Does the band offer housing? Housing during the retreat portion of FTP is provided. In addition, the Band has a dorm-like private house called Tellefsen Hall which houses 44 bandsmen throughout the year. 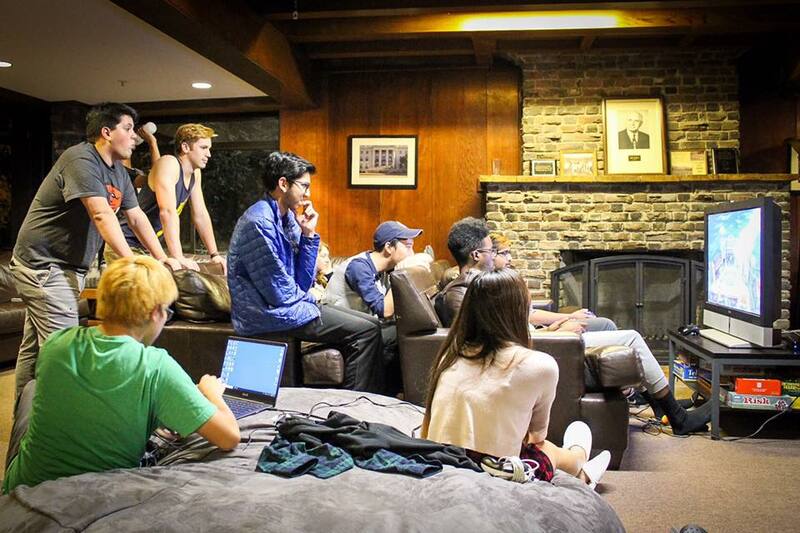 The cost of living at Tellefsen Hall is significantly cheaper than living at the University Residence Halls, and includes food (with a professional chef and open kitchen), utilities (electricity, water, and garbage), and high-speed internet connection. Does the band provide academic support? The Band has an extensive Academic Advising Program. The Band’s average GPA is actually higher than the University’s average GPA. 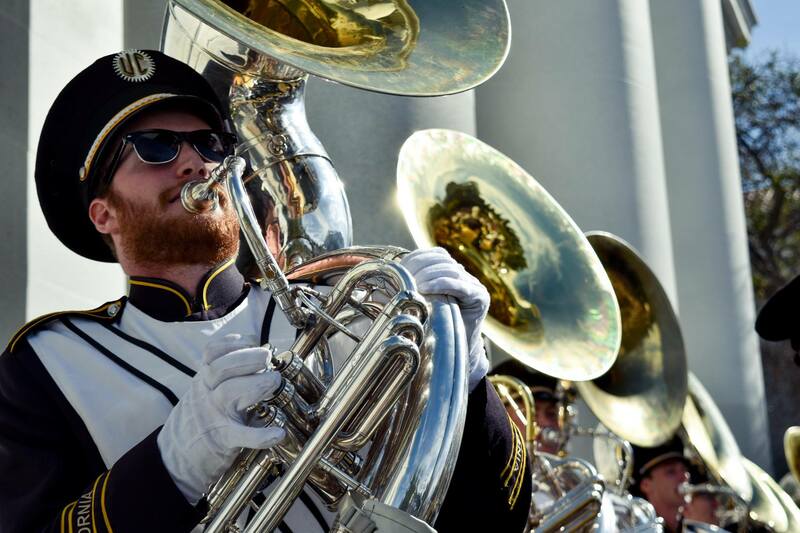 The academic resources available to Band members include weekly booked study rooms, class advising from older bandsmen in the same major, a list of bandsmen’s common courses for the semester, a textbook exchange, and a test bank that the Academic Advising Program maintains. 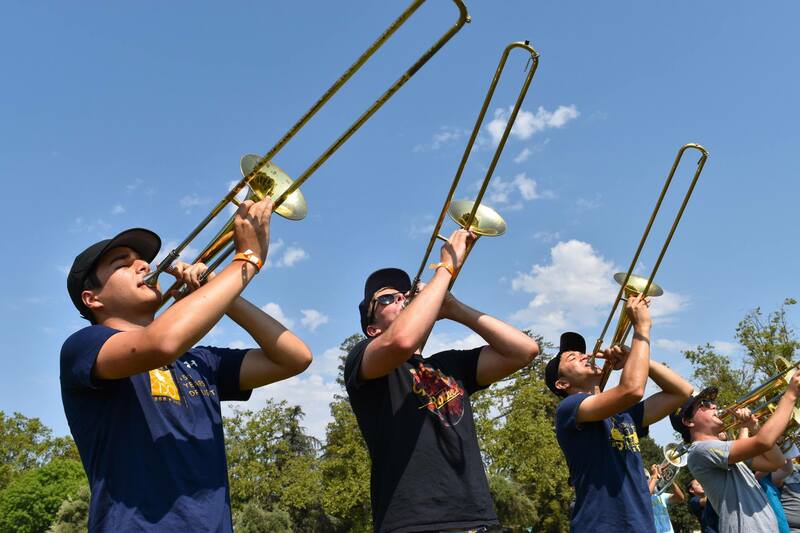 The Cal Band is in full compliance with the University’s Anti-Hazing Policy. There is no tolerance of any violation of this policy. Does the band offer internal relations programs? The Cal Band requires every member to attend a workshop presented by Bears that C.A.R.E. to discuss how to create a comfortable, safe environment for our bandsmen. Above all, we want our members to have a fun and safe college experience, and the Band supports education and discussion on topics that will help with this endeavor. There are no fees or dues associated with being a Cal bandsman! 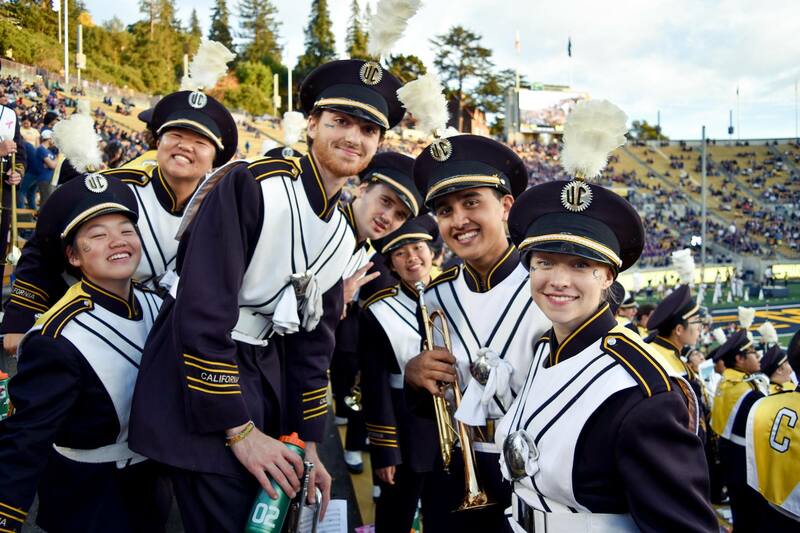 There are plenty of ways to volunteer with the Band on football game days or during our annual NorCal benefit! Please refer to our Parents section for more information.